This post was sponsored by Toyota. Thanks for supporting the brands who keep The Kitchen Paper up and running! Haaaappy fall!!! Portland has had the most beautiful fall weather the past week — crisp, sunny (mostly), and just plain gorgeous. Ugh. I love it. I’m wearing sweaters and new boots and drinking tea in the mornings and really wishing it would just stay like this forever. Ya with me!? 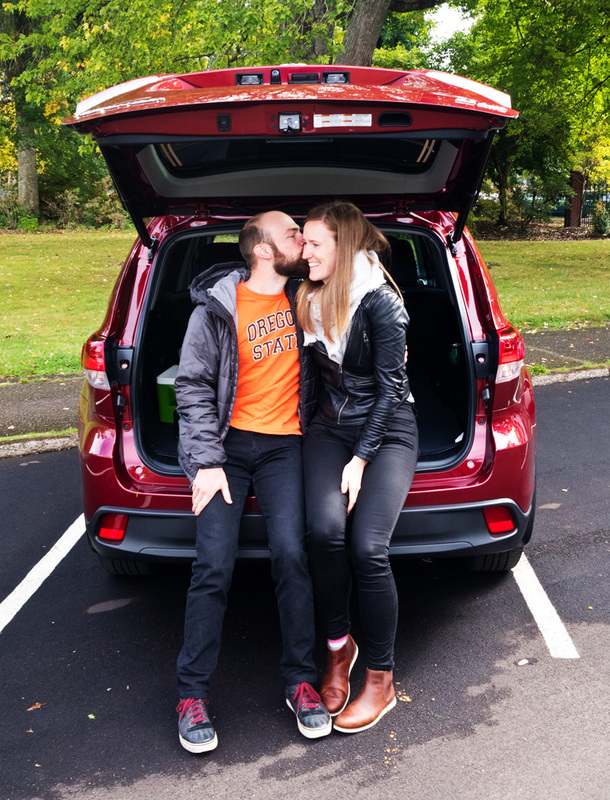 Today I’m sharing a recipe I made specifically for one reason: tailgating. I know, I know: it’s not a hotdog. Literally everyone I talked to in the last few weeks, when I asked “what food do you like to eat/make when you tailgate?” said: “Hotdogs”. Hrmph. I’m all for a good hotdog, but I wanted to do something different. 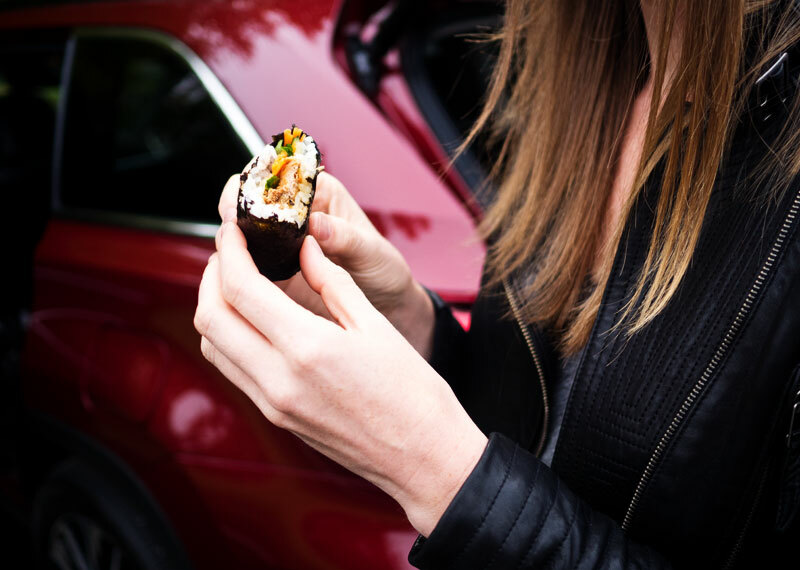 When Toyota approached me about heading down to the Oregon State game last weekend, I knew I wanted to do something tasty, handheld, and easily portable. I’m absolutely that person who wants to show up with something ready to eat — we can throw other stuff on the grill, for sure, but these babies are ready for consumption upon arrival! If you watched my instagram stories this weekend, you saw our sweet ride: a 2017 Toyota Highlander. Literally THE EXACT SAME CAR THAT WE OWN, in the exact same color, but 15 years newer! Ugh. It was amazing. I honestly didn’t know new cars came with such fancy gadgets: the cruise control SENSES THE SPEED OF CARS IN FRONT OF YOU so it always keeps you at a 4-second (or whatever you set) following distance. Mind.Blown. Also: seat warmers. I know those are old news but man-oh-man would I love to finally own a car with some. I also didn’t know that the Highlander now has three rows of seats. We left the back row folded down and had alllll the room for lugging our stuff down to Corvallis and back. 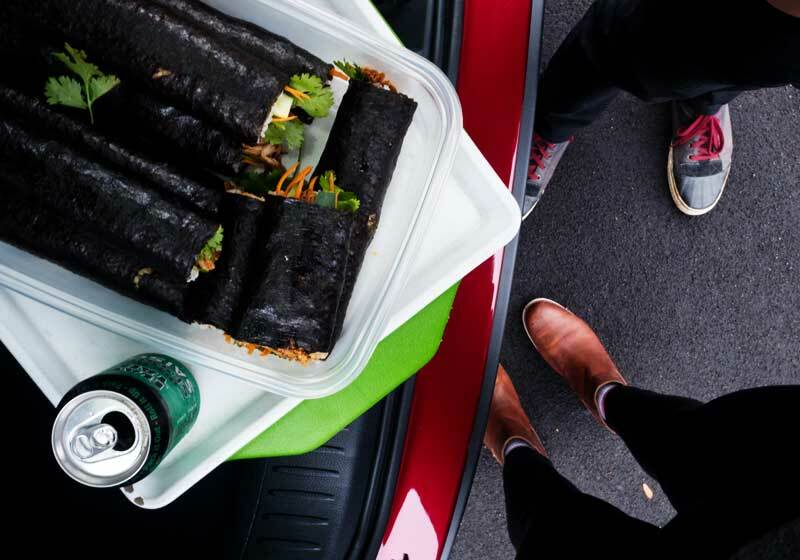 We packed up the Toyota on Saturday morning, after cooking pork in the slow cooker over night and assembling the nori rolls in the morning. 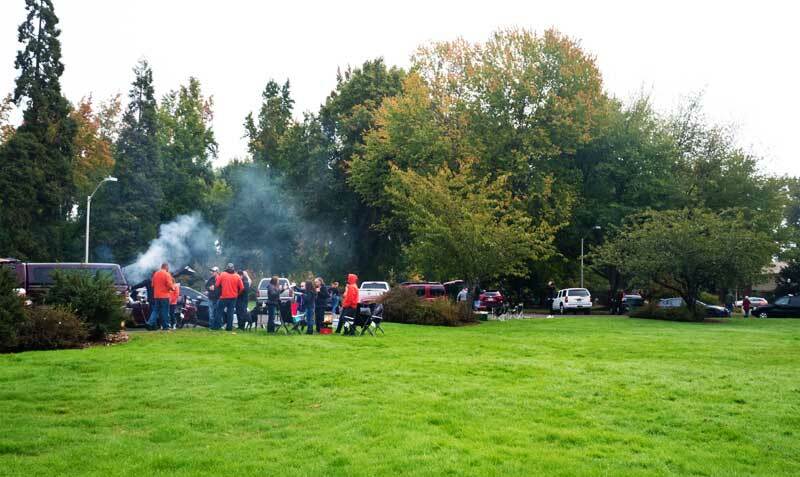 It was a gorgeous foggy drive down, and we joined throngs of other OSU fans in a parking lot near the stadium for some pre-game tailgating! It was great to just open up the back of the car, have a seat, open our cooler, get a blanket out, etc. Pretty much zero prep needed to have a great time. 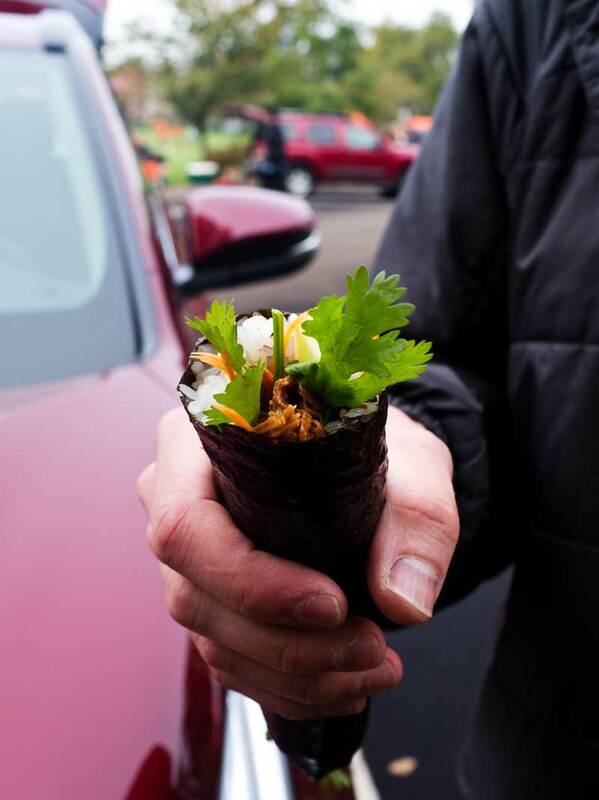 We enjoyed our nori rolls, and some other snacks, before heading up to the Toyota Club (wowza!!) and watching the game. So much fun! Overall, we had a great weekend. A huge thanks to Toyota for taking care of us in Corvallis, and letting us check out a gorgeous new car. In case you need a list of some tailgating recipe ideas, here are some of my favorites to either bring with or make there! 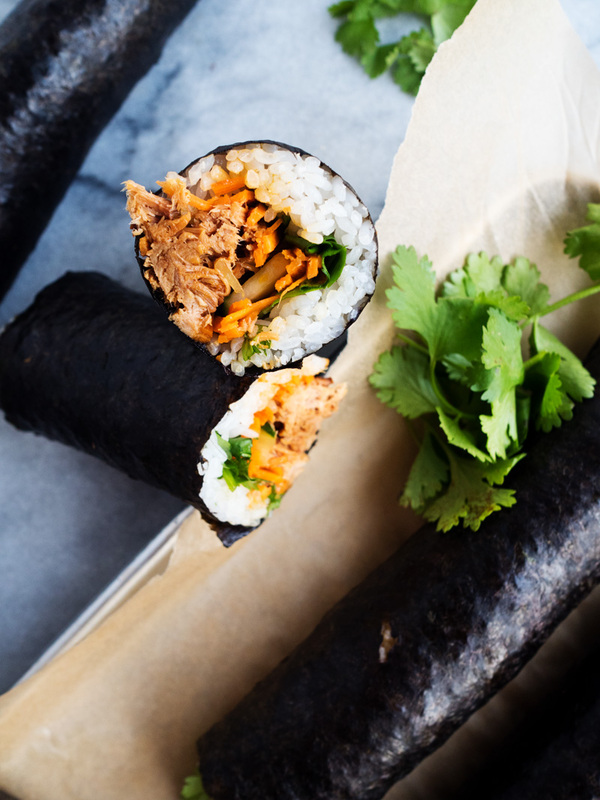 Onto this nori roll recipe: I make this version of pulled pork in the crock pot, and it’s so easy. I threw it all in before bed, shredded it in the morning, and assembled as soon as the rice was done cooking. I meant to add some kimchi, but I totally forgot this time!! Do as I say, not as I do! These were perfect for transporting — they didn’t get sticky or fall apart, the juice from the pork was just enough to keep them moist and tasty, without getting soggy. We had them in the car for at least 4 hours before we actually ate them, and even ate leftovers the next day and they were still totally fine. 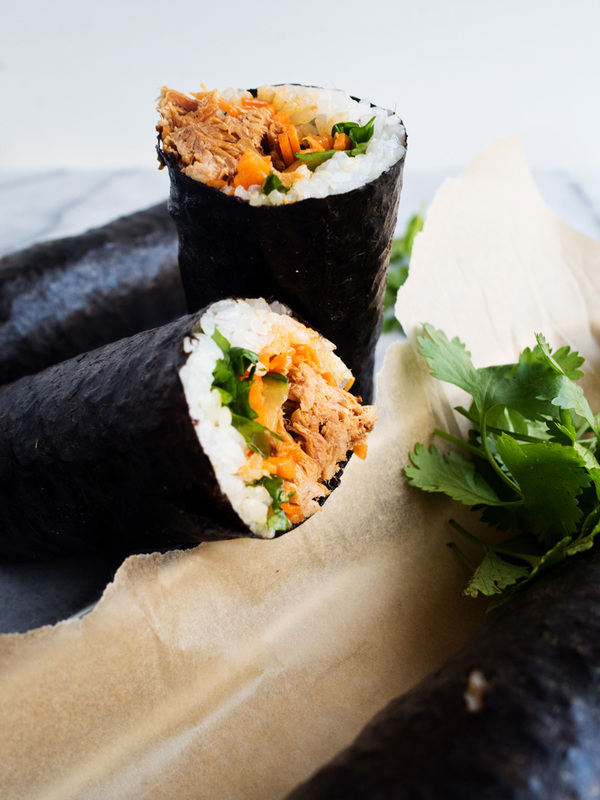 This game-day snack comes together easily with the help of slow-cooker Korean pork. 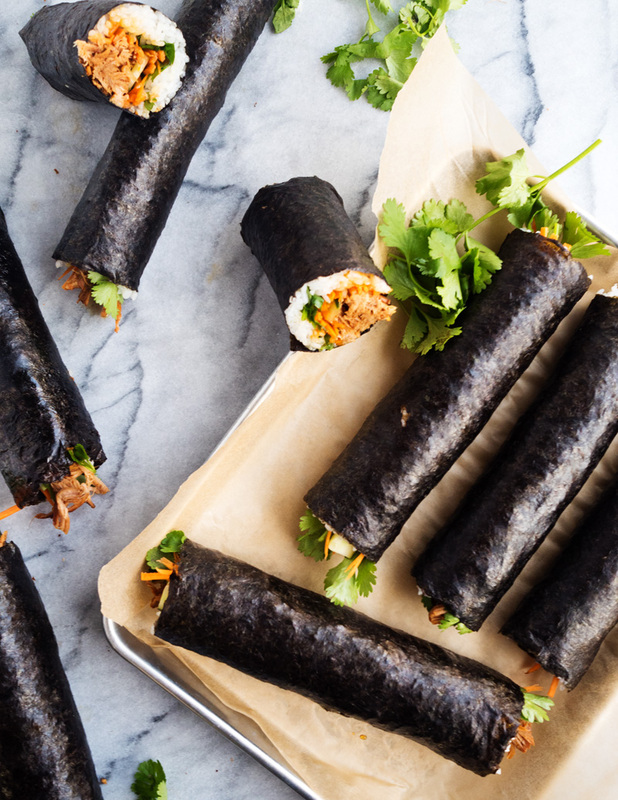 Assemble these nori rolls and pack them up for easy transport! 8-12 hours before you need to assemble, place the pork, broth, ginger, gochujang, soy sauce, honey, lime juice, and garlic together in a slow cooker. Mix the sauces together until homogenous. Cook on low for 8 hours, then shred the pork with two forks, and stir into the sauce. To assemble, lay a nori sheet flat. Cover 2/3 with a very thin layer of cooked rice, then layer the carrot, cucumber, cilantro, and shredded pork. Roll the nori up, making sure it entirely wraps around the rice, and seal with a dab of water if needed. Oh wow, this looks so good! Yum!